Ukraine’s Ministry of Defense reported at 12:30 PM Kyiv time that in the last 24 hours, no Ukrainian soldiers were killed and one Ukrainian soldier was wounded in action. In the last 24 hours, Russian-terrorist forces opened fire on Ukrainian positions on the Luhansk and Donetsk sectors of the front 26 times in total. Ukraine’s Ministry of Defense reported that at 6am Kyiv time today, three Ukrainian soldiers died and nine Ukrainian soldiers were injured in a training accident at a base near Rivne. The accident was caused by the explosion of a mortar shell during tactical exercises. 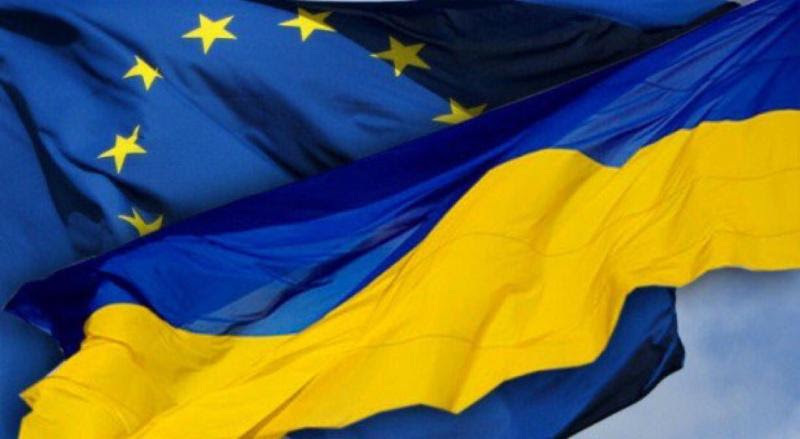 The European Union officially extended sanctions against Russia imposed in response to Russia’s violations of Ukraine’s sovereignty and territorial integrity. Radio Free Europe/Radio Liberty (RFE/RL) reported, “The extension was finalized on July 5 and comes after EU leaders unanimously agreed to prolong the measures during the bloc’s summit in Brussels on June 29. The measures primarily hit Russia’s banking and energy sectors. On July 5, the US Mission to the OSCE stated, “the United States is appalled that Russia has once again denied the Ukrainian human rights ombudsman’s requests to visit a number of Ukrainians unjustly imprisoned in Russia, including Crimean filmmaker Oleh Sentsov, who has been on a hunger strike for 54 days. 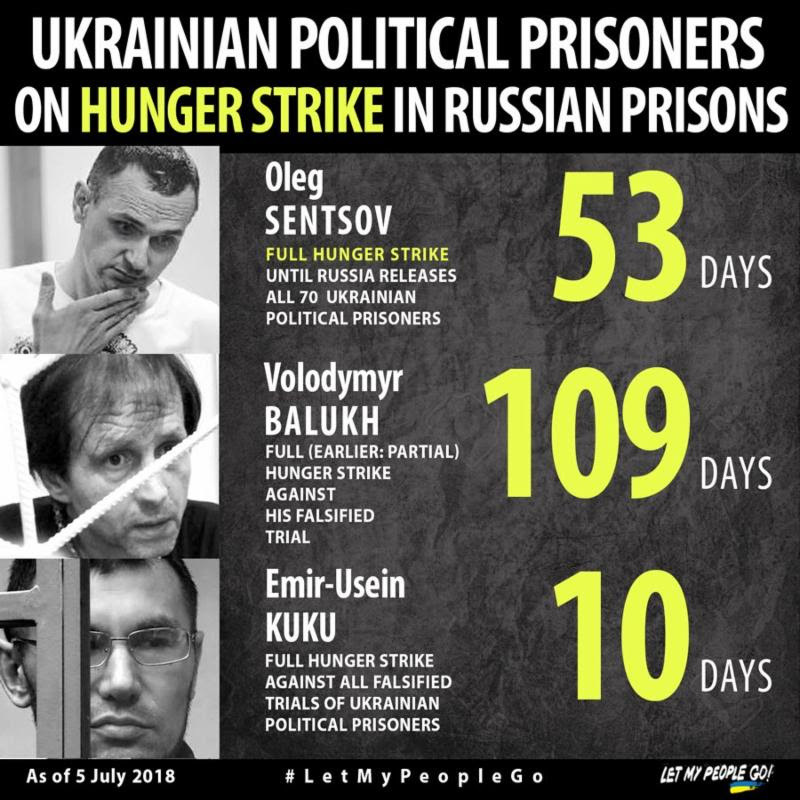 A July 2 announcement by Crimean authorities that they intend to seek a second four-year prison term for Volodymyr Balukh appears to be in retaliation for his hunger strike, which is now in its 109th day. We again note our concerns about the resumption in Crimea of the practice of punitive psychiatric incarceration. Regrettably, the latest victim is Crimean Tatar blogger Nariman Memedeminov, who was ordered into 20 days of psychiatric “evaluation” on June 29 as he awaits prosecution on baseless terrorism charges. We reiterate our call on the Russian Federation to release all of the more than 60 Ukrainians it has unjustly imprisoned, to cease its campaign against Crimean Tatars, ethnic Ukrainians, and other minorities on the peninsula, and to end its occupation of Crimea. Reuters reported on July 5, “Ukraine’s parliament on Thursday passed a law requiring state-run banks to appoint a majority of independent members to their supervisory boards, a commitment made to the backers of its $17.5 billion bailout.